On September 27 a partial but significant foundation was laid to provide accountability for gross human rights violations in Myanmar, and hopefully to deter repetition. After receiving a 444-page UN report extensively detailing human rights violations in Myanmar and making recommendations to address them, the UN Human Rights Council in Geneva passed a resolution that includes the establishment of an evidence-gathering mechanism to enable future trials. The “independent mechanism” is mandated to “collect, consolidate, preserve and analyze evidence of the most serious international crimes and violations of international law committed in Myanmar since 2011 and to prepare files to facilitate and expedite fair and independent criminal proceedings.” Similar to an existing mechanism for Syria, it will be responsible for preparing case files to standards required for any future criminal prosecution in a national or international court of law. The full, final report of the Independent International Fact-Finding Mission (FFM) on Myanmar was presented to the Council on September 18. It finds members of Myanmar’s security forces responsible for crimes under international law, including crimes against humanity in Rakhine, Kachin and Shan states – and potentially for the crime of genocide against Rohingyas. Findings also noted that restrictions on fundamental freedoms stifle honest constructive public discussion of this. 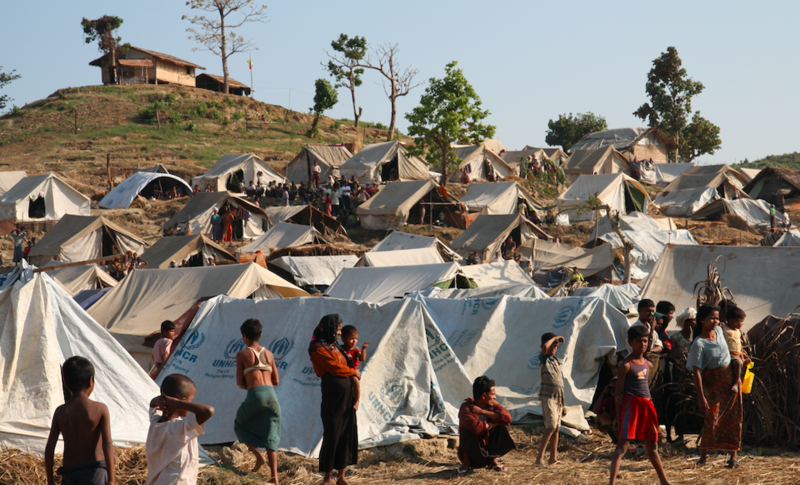 The application of these findings to the situation in Myanmar is familiar territory. The experience of Rohingyas is particularly egregious, but not an isolated case; for more than six decades serious crimes have persisted against communities throughout the country, overwhelmingly perpetrated by members of the military, who enjoy impunity. In recognition of this, the mandate of the independent mechanism is not limited to any particular area or group within Myanmar. Although, when it becomes fully staffed, it will necessarily refine its focus taking into account the gravity and scale of offenses as well as its financial and human resources. While case files are to be prepared, the UN resolution did not establish a court. The International Criminal Court (ICC) has the potential to address some aspects of the crimes in question, however, it is not presently in a position to address the situation as a whole. Certain foreign courts exercising universal or other grounds of jurisdiction are, likewise, only likely to address a limited portion of the overall offenses. Within Myanmar, no court has the required independence, impartiality, competence and jurisdiction to ensure fair criminal proceedings against perpetrators for the full range of crimes under national and international law. Myanmar’s national prosecutors and judges have demonstrated they lack the independence, impartiality and competence to hold members of security forces accountable for human rights violations, or to consider redress for victims and their families. Government reforms offer hopes of establishing genuine rule of law with respect for human rights, but this is undermined by persistent injustices – encapsulated recently in the wrongful prosecution and punishment of two Reuters journalists. In a recent campaign, local activists wore shirts emblazoned with the words “failed law.” This reflects frustration with a system that prosecutes human rights advocates without justification, but does not punish perpetrators of the most serious criminal violations of human rights, particularly when soldiers are involved. Impunity continues to embolden these perpetrators of crimes, undermining democracy and peace, and feeding ongoing cycles of violence. Since the partial power transfer from military to quasi-civilian administration in 2011, several government-commissioned inquiries have investigated human rights violations – including in Sagaing, Mon and Rakhine states. None have addressed the military’s pervasive influence in the administration of justice, nor provided accountability or redress. The government’s most recent commission of inquiry on Rakhine state is evidently no different, and may even promote impunity by deferring robust accountability measures. While any evidence held by the new independent mechanism could be available in future should national institutions eventually become sufficiently impartial, independent, competent, and capable to do so, this seems a long way off. In this context, calls have increased, including from the FFM, for the UN Security Council (UNSC) to refer the situation in Myanmar to the ICC or for the creation of an ad hoc tribunal. Since Myanmar has not ratified the Rome Statute (the treaty that created the ICC), it has not agreed to submit itself to the jurisdiction of the ICC with respect of the crimes listed in the Statute. The Court may only exercise its jurisdiction in situations where the alleged perpetrator is a national of a State Party or where the crime was committed in the territory of a State Party. However, as a UN member state, Myanmar would be obliged to cooperate with any referral to the ICC made by the UNSC. Furthermore, on the basis that the ICC’s general jurisdiction applies to crimes occurring within a State Party to the Rome Statute such as Bangladesh, ICC prosecutors are conducting a preliminary examination into alleged crimes where an element – or part of a crime – was committed within the territory of Bangladesh, including the crime against humanity of deportation which, by definition, has a cross-border element. Calls for an international prosecution seem loudest from outside Myanmar, by states, human rights organizations and from diaspora groups. Yet demand for ICC referral from inside Myanmar is also growing, although this is significantly muted due to fear of reprisals from government and nationalist groups against civil society, journalists and other public figures. 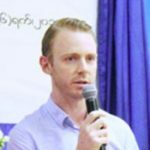 Whatever the eventual pathway for justice in Myanmar – national, international or a combination of both – effective criminal prosecutions are likely to constitute an important element to provide some accountability, enable redress and deter the repetition of human rights violations in future. Any of these models will require evidence, and in the case of violations against Rohingyas and in northern Myanmar, having a mechanism to store evidence and prepare case files will serve as a critical aspect of this. Memories fade while physical evidence either deteriorates or is destroyed, which means there is now an urgency for gathering of evidence by appropriately trained experts. Historically and recently much documentation has been collected, both inside and outside the country, often under dangerous and risky conditions. Human rights documentation has played a critical role in exposing the truth, drawing attention to injustice, and pressuring state and non-state actors to address the situation. But past experience has taught that documentation of atrocity crimes should, wherever possible, be conducted in accordance with best practice by highly experienced and well-resourced multi-disciplinary teams. The ethical principle at the heart of documentation is “Do No Harm.” For example, any efforts should be coordinated and careful threat and risk assessments should be conducted before any interviews of survivors so they do not cause avoidable harm. Multiple interviews of the same person can cause re-traumatization and even potentially impair future prosecutions. The independent mechanism can contribute to these goals. The Office of the High Commissioner for Human Rights has 20 days to develop its terms of reference, after which it could take up to 12 months to establish. The FFM’s mandate has been extended to bridge any gap in documentation. A key consideration will be complementing existing or potential national and international justice systems, be that of the ICC, foreign courts with jurisdiction, or later in Myanmar, or a mix of these options. Indeed, criminal accountability is only one tool for justice, and it cannot wholly reverse the damage done. But it can help victims, and critically it can help Myanmar get out of its entrenched cycle of human rights violations. Eventually, criminal trials will be required, which will open a range of other challenges. But right now, an important foundation for effective accountability has been established with the creation of this independent mechanism. Anyone wishing for justice and peace in Myanmar would be right to support it. This article was originally published by Asia Times and has been republished here with permission. Sean Bain is a legal adviser with the International Commission of Jurists (ICJ).